A long-awaited, updated edition of a classic hiking guide. 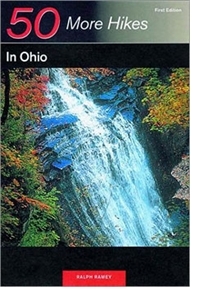 In this completely revised edition of 50 Hikes in Ohio, veteran hiker and author Ralph Ramey revisits old favorite trails to discover changes that have been made to them through the years. He describes exiting walks in ten new trails that reflect his love of hiking in special natural settings around the Buckeye State. Walks through remnant prairies and an area of drifting sand dunes, a climb to a dolomite promontory, and a hike though a deep deciduous forest are among the new trekking adventures that Ramey describes in detail in this update of his classic hiking guide. 51 maps, 50 black & white photographs, index.